In our #thedailyhustle series we profile Jobber customers and learn what they do to run a great business that can work for business owners in any industry. There are few experiences that will form stronger, more lasting bonds than service in the military. And the trust and respect from serving together can make for a pretty tightly knit community around the bases where those in the military live. 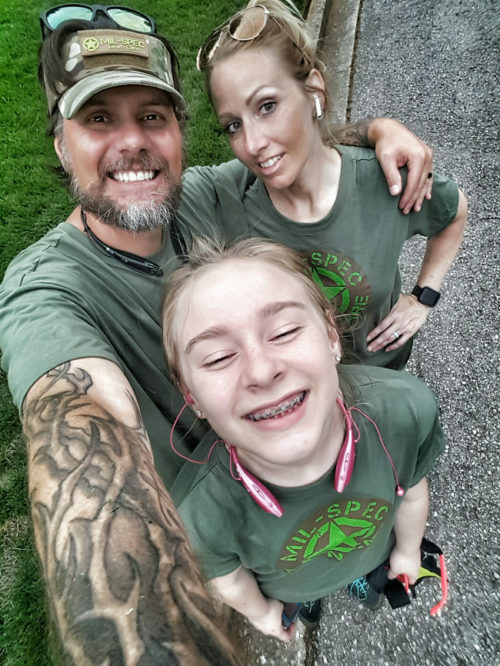 So when Brian Boase and his wife Kristy were deciding on what they wanted to do after retiring from active duty, they looked at the needs of military families. “We looked at demographics of our area and it’s growing. And grass always grows too,” says Brian, who lives in Adams, Tennessee, just 45 minutes away from Fort Campbell, which lies on the other side of the Kentucky-Tennessee border. The base is the home of the 101st Airborne, the so-called the Screaming Eagles of the US Army’s only Air Assault Division. From Fort Campbell, US soldiers deploy to and return from missions all around the world. After being one of those soldiers for 22 years, Brian recently retired and had some decisions to make. “I didn’t want to work for anyone else and I like being outside,” says Brian. And so Mil-Spec Lawn Care was born. 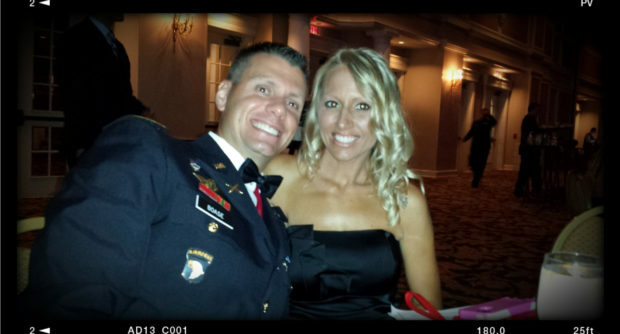 His wife Kristy, who also served in the U.S. Army, left her corporate job to become a business partner. “We like being outside and staying in shape, and we wanted to work together,” explains Kristy. “The term is synonymous with exacting standard, if you will. And those guys really get it,” says Brian, who concentrated his market research on the Fort Campbell area. “We understand that deployments come along and the last thing we wanted was those deployed guys and girls to worry about those they left behind having to go worry about taking care of the lawn,” says Brian, adding that he’s experienced regular relocations and having to often live far away from loved ones. He knows there’s a certain peace of mind that comes from knowing someone is taking care of things back home. Having the lawn cut by Mil-Spec means there’s one less thing to worry about when deployed so far from home. We go there and service their lawn and we'll take a look around and make sure no windows are broken and no doors are ajar. Sometimes if there's a big windstorm a fence will get wrecked. We'll try and get someone out there. Along with lawn care, Boase will also offer other services including pressure washing, landscaping, repair, and other outdoor general maintenance which is popular with some of the older retiree veterans. “We try and make it one-stop shopping. We’ll ask: what else can we do for you?” he says. Because of their knowledge of their market and deep ties with this close-knit community, the pair’s business plan exceeded expectations in their first year. “I thought it was going to take maybe a couple seasons to build up our clientele, but we’re booked solid,” says Brian. He credits their success in a single season to not just the care and respect they give each property, but because they treat their customers like family. “We’re at the point now where we are giving away some of our lawns. We’re slammed,” says Brian. But Mil-Spec isn’t interested in adding crews and getting too big, he says. The pair don’t believe that bigger is always better, and feel that by maintaining a smaller footprint, they are able to provide a much better personal focus. Mil-Spec has deployed a full spectrum social media strategy from the very beginning with very active Instagram, Twitter, and Facebook feeds, all pointing to a well-designed website where they have testimonials and one-click booking. They’ve got clear and consistent branding from their website, to t-shirts to the truck decals. “They see our trailer and look at our marketing: they find us on Facebook or Instagram, and they go to our website, and they read our reviews, and it seals the deal,” says Kristy. One of the best things when you are starting something new is go find a mentor. Someone who has been in the business and has been successful in it. He found Mark’s Lawn Service, also run by a retired soldier, who had a decade of experience in nearby Clarksville, Tennessee, and gave him a call. “What’s the worst he could say? ‘No way, I’m not helping cause you’re my competition.’ But he didn’t. He said, ‘Sure I’ll help you out there’s enough grass for everyone’,” says Brian. Now, Mil-Spec is hoping to pay him back by helping him out and teaching him new technologies. Proof positive that service and and unselfish approach are the winning formula for building a market force as a startup lawn care company. Lightning round with Mil-Spec Lawn Care! The most valuable tool in your toolbox? Brad: GoldenEdge edger blades will last longer than 50 of your standard edger blades. But the number one thing, especially for new guys, is dealer support. Because you’re using a bunch of mechanical equipment and it’s going to break. It’s not ‘if,’ it’s ‘when.’ And then it comes down to how fast can your dealer get it fixed for you. I’m more dealer loyal then brand loyal. Sunscreen. We go through a lot of that! Kristy: The fact that we can send invoices immediately. When we get back into the truck, as soon as we put the ramp up we can send one, and usually when we are working on the next lawn we get an email saying that person has paid. Brian: Jobber has seriously changed the game. We love Jobber. It literally will pay for itself in saved time alone. Especially if you have an issue with someone. [Jobber reporting] shows they received the invoice and opened it. It’s a record that we did the work. Kristy: Our branding and website. They see our branding on our trailer, then they find us on Facebook or Instagram, then they go to our website and they read our reviews, and it seals the deal. What’s your ideal way to unwind after a hard day’s work? We spend our family time working with our rescue dogs—we have three big dogs: bull mastiff, boxer lab mix, retriever, and losing to one of our three girls when we play Monopoly. Could your business use a software boost?